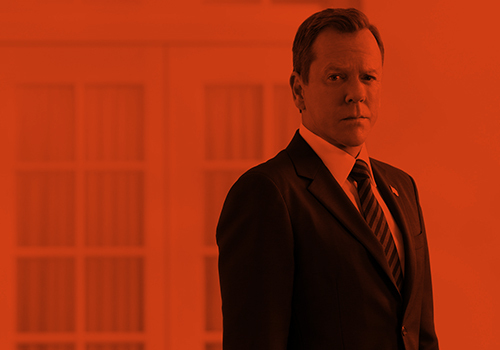 Kiefer Sutherland has released his second single, “Can’t Stay Away,” off his forthcoming album, Down in a Hole. The track channels the vocals of those from the 1970s rock-meets-country era with a smooth guitar lick throughout the song that makes “Can’t Stay Away” an easy listen. Sutherland, who co-wrote or self-penned every song on the album, paints the lyrical picture of a love that he keeps coming back to, even in trying times. For the new country singer, Sutherland has found great confidence within his music by allowing his songs to represent his experiences and thoughts he’s dealt with throughout his life. His new record reveals the untold stories that Sutherland has now unfolded to his fans musically. “This record is the closest thing I’ve ever had to a journal or diary. All of these songs are pulled from my own personal experiences. There is something very satisfying about being able to look back on my own life, good times and bad, and express those sentiments in music. As much as I have enjoyed the writing and recording process, I am experiencing great joy now being able to play these songs to a live audience, which was something I hadn’t counted on,” Sutherland said. Sutherland’s debut album will be released later this summer. He will be heading to Canada for tour, starting June 16 in Gravenhurst and wrapping on July 30 in North Bay. Fans can check out more tour dates HERE. This entry was posted by Courtney on Thursday, June 16th, 2016 at 1:59 pm. It is filed under Articles, Music, Videos. You can follow any responses to this entry through the Comments Feed.